Dresser has to stay for now. My wife wants to keep it and there is nowhere else to put it. Besides, it is built solid like a rock with zero vibration issues. Very important in a small room. The all AR setup that I had previously was also very impressive. I came across the Bose for a great price and decided to try something different. To my ears, they really integrate well with the 3a's. I match the volumes with the MC 7270 level controls. I’m not saying the new setup sounds better, just different. The Bosar sounds more spacious, like the room was bigger. Bass seems a little punchier. After I play around for a while, I’m going to swap my Audio Technica 440 mlb cartridge with a vintage Shure V15 type IV that I found a while back. It didn’t match well with the old rig. We'll see what happens. The ceilings are 8 feet, room is 10 x 15. It’s tight but absolutely sound proof. I can blast away and my wife can’t hear a thing! I have come up with the first Bosar 903a modification. There is a noticeable improvement ?. Also a greater chance of disaster! ? I will call them the Bosar 903a improved. Thanks. Believe it or not, a complete stranger gave the Macs to me for free. He was having a whole home sound system installed and wanted to replace them. The 7270 is actually sitting on a thick slab of concrete. The room is really small and I don’t have a lot of choices as to placement. I’m currently looking to find a sturdy used audio rack to house the amps. I’ve included a photo of my previous setup to help illustrate the room dimensions.  Yes, there is a noticeable drop off in sound quality between standing and sitting. My original thought was to tilt the 901's downward a bit but I don’t know what it would do to the sound reflectivity. Putting them between the AR's is an intriguing idea. However, the left speaker has a wall about 10 inches away to the left. If I drop it down, it won’t clear the top of the bureau and would probably confine the rear speakers' output. Thoughts or suggestions? The Mac preamp (C31V) has 3 outputs-some type of mid 80’s attempt at a multi room system. I have the eq hooked up to one of the preamp outs and then out to the amp so it doesn’t affect the AR's. Plays loud, clear, and “big”! Like I always say, quantity is quality! Add 1 part Bose 901 series 1 and 2 parts AR 3a. Amplify accordingly and voila! You have the Bosar 903a tower speaker. They sound surprisingly good. I have a rebuilt series 1 eq hooked up exclusively to the 901's. A Mac 7270 drives the Bose and Adcom and Nad amps on the AR's, all in a small bedroom. Bass is off the charts. Probably not the most accurate speakers ever made (☹️) but they have a “big” full sound. So far, I love 'em! Found one on EBay. Thanks. Will let you know what I think of them soon. Yes, thanks for the reply. I am currently following five. They show up more frequently than I had imagined. Right now I am using the five band eq on my Macintosh C31V. The 901's sound pretty damn impressive. Stu Morgenstern replied to Stu Morgenstern's topic in Members Pictures - Speakers, Electronics, etc. The Adcom/Velodyne/AR combination really works well. Very impressive sound for a small system. I bought the 18’s at a flea market for $2. Cabinets and grilles looked like they just came out of the box. The woofers just needed a refoam. I do a lot of recording on that Teac. Mostly classic 50’s and 60’s Jazz. 40 years old and it still works great! They sure knew how to build stuff back then. 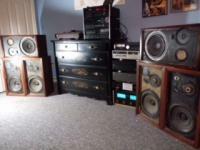 Stu Morgenstern posted a topic in Members Pictures - Speakers, Electronics, etc. AR 18’s paired with Adcom amp and preamp, Nikki Gamma tuner, NAD CD, Technics SL 1800 MK 1, Stanton 681 EEE, Teac A2300SX, Velodyne sub, etc. Two pair of 3a's. One pair of 2ax. All crossovers rebuilt and woofers redoped. Non-functioning tweeters in the ax's replaced with appropriate HiVi domes. The speakers were all thrift store finds over the last few years. Cabinets have been refinished and look pretty good. I prefer to listen to them without grills. I'm using three amps. A Mac MC 7270, an NAD, and an Adcom for a total of 570 watts per channel.They are hooked up to a Mac C 31V preamp which has outputs for three amps. The turntable is an Onkyo CP 1260f Quartzlock with a carbon tone arm. Cartridge is an AT 440mla. I mainly listen to vinyl but also enjoy 7” reels on my Teac A 3300 and the occasional cassette on a JVC DD 77. Most of the equipment came from thrift stores. The Macs were free. The Adcom and the AT 440mla were eBay and Amazon respectively. I have a smaller system in the den featuring a nearly mint pair of AR 18's with a Velodyne subwoofer.